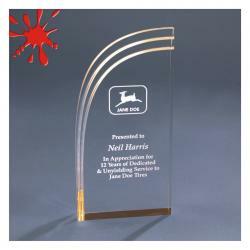 3/8" Thick clear or jade acrylic. 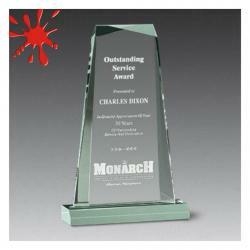 3/8" Thick beveled clear acrylic. 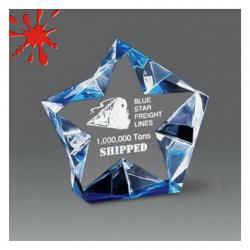 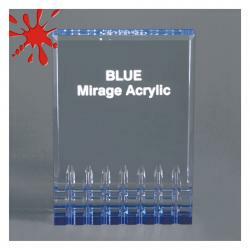 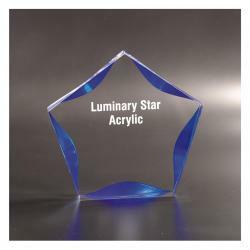 3/4" Thick clear, jade or blue acrylic. 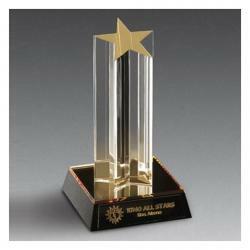 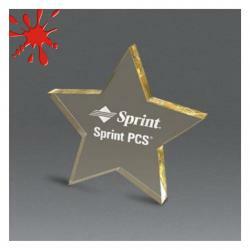 2" Thick gold or clear acrylic. 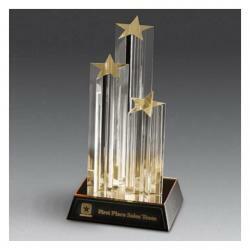 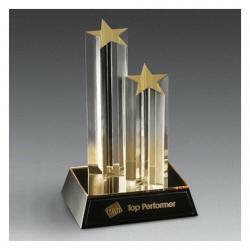 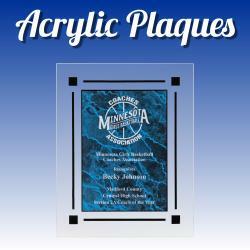 1.25" Thick clear, jade or gold acrylic. 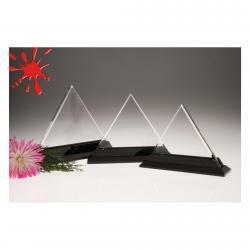 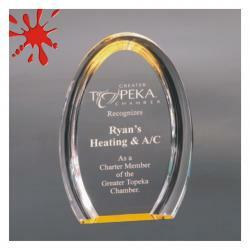 1" Thick clear or jade acrylic. 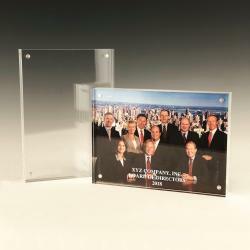 1" - 1.25" Thick clear acrylic. 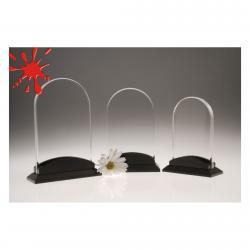 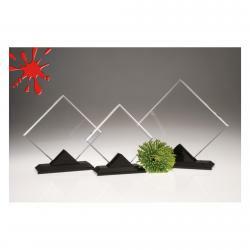 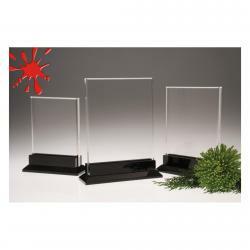 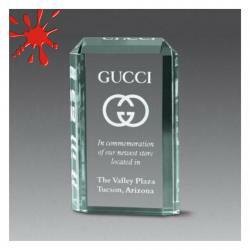 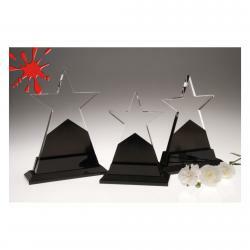 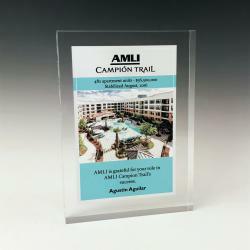 1.5" Thick clear or jade acrylic. 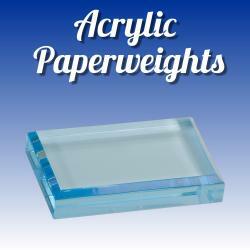 1.25" Thick clear or jade acrylic. 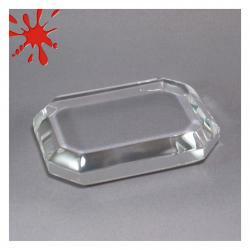 1"Thick jade or clear acrylic. 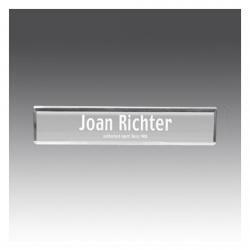 1" Thick jade or clear acrylic. 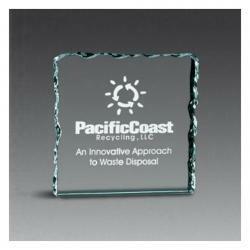 1.5" - 2" Thick clear acrylic. 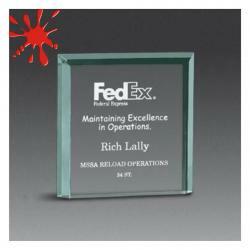 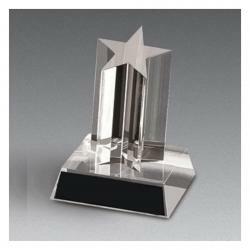 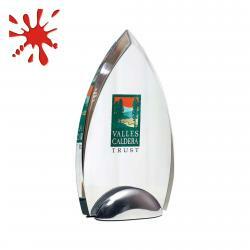 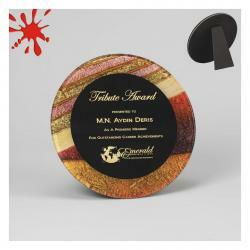 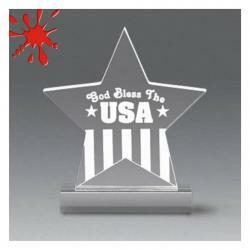 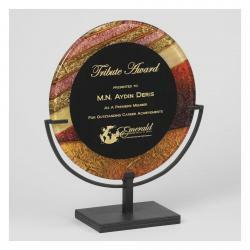 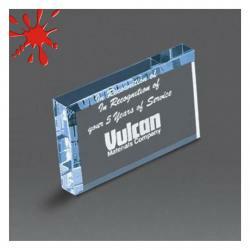 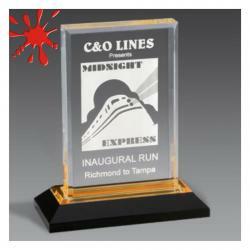 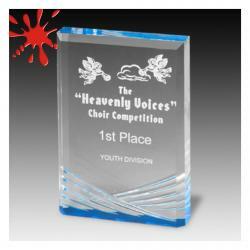 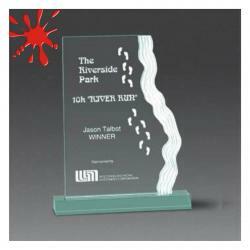 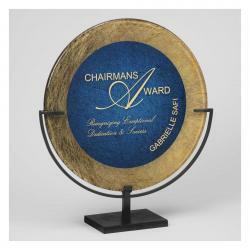 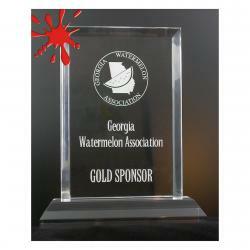 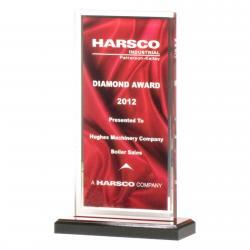 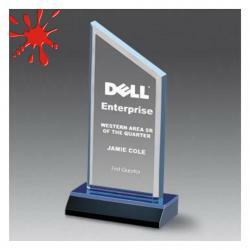 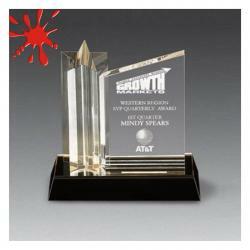 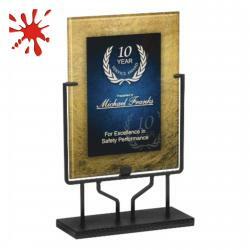 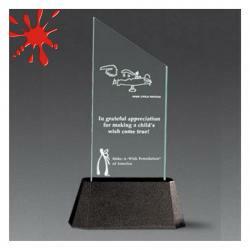 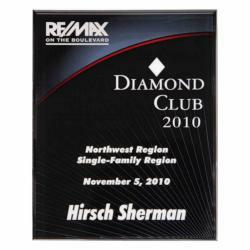 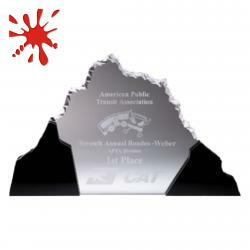 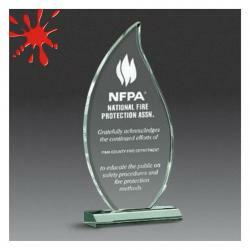 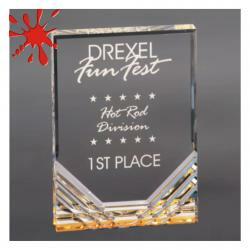 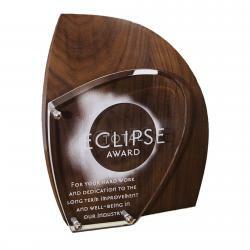 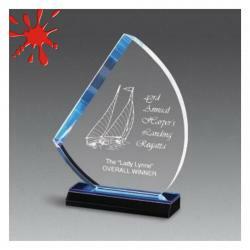 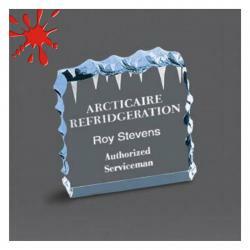 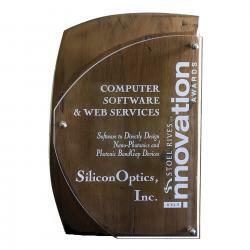 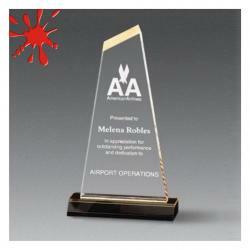 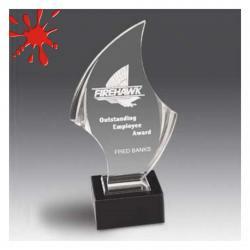 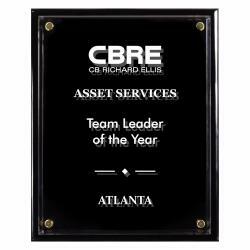 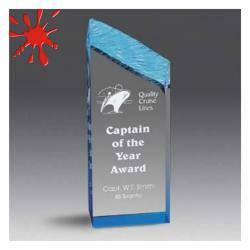 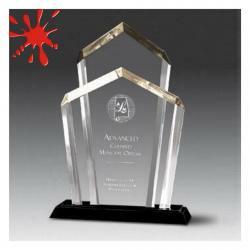 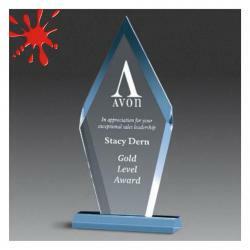 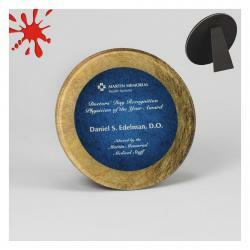 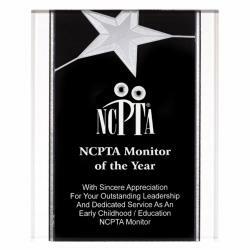 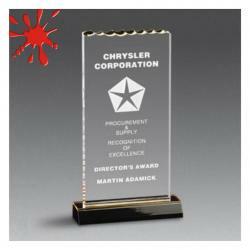 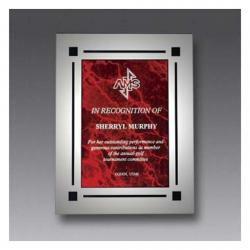 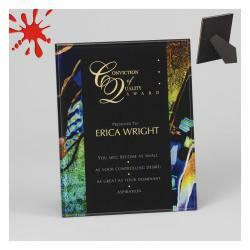 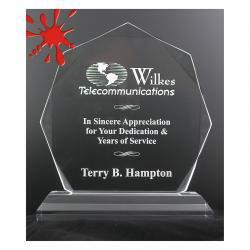 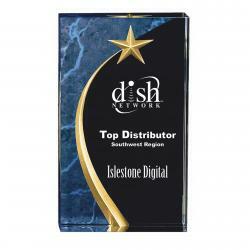 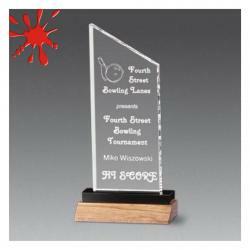 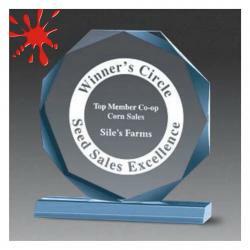 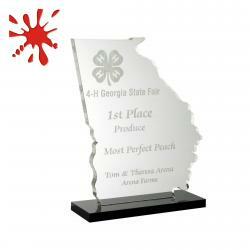 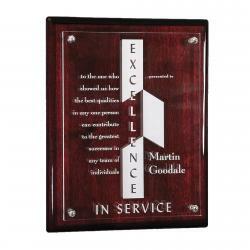 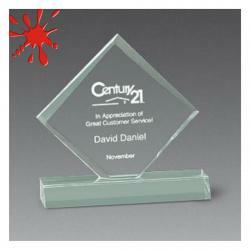 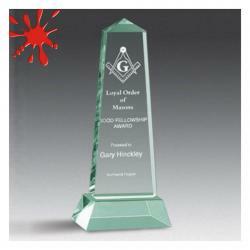 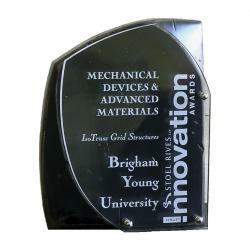 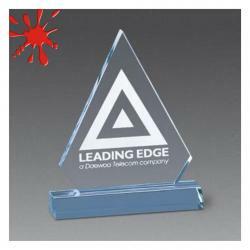 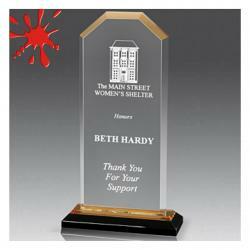 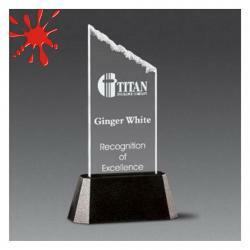 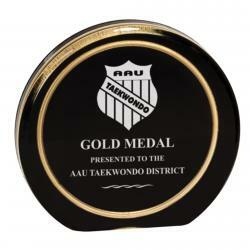 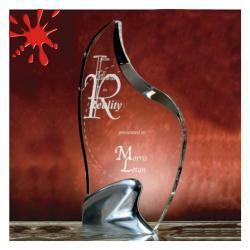 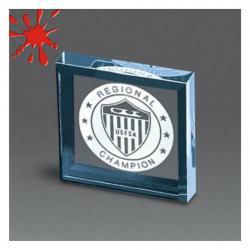 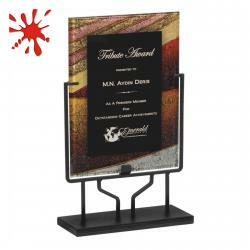 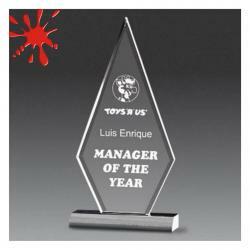 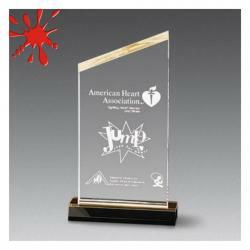 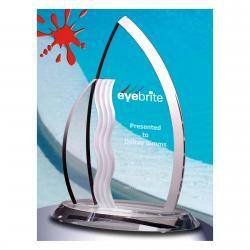 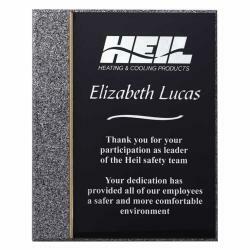 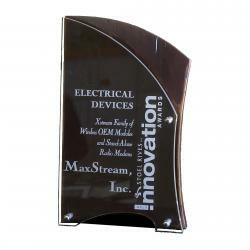 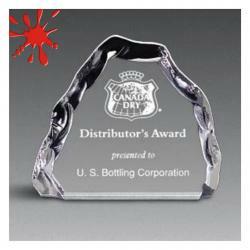 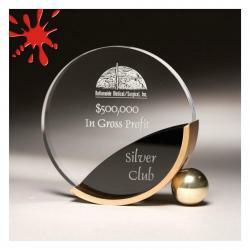 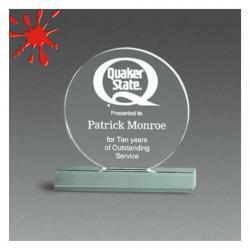 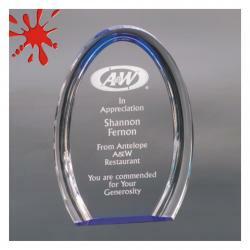 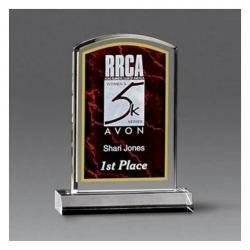 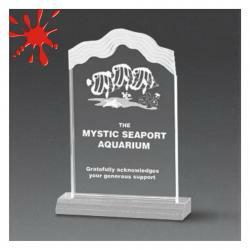 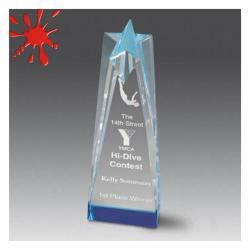 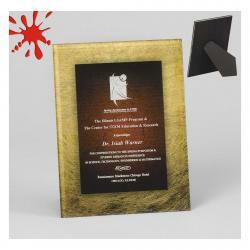 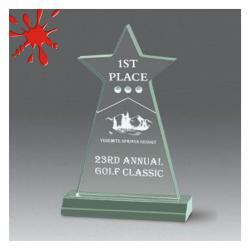 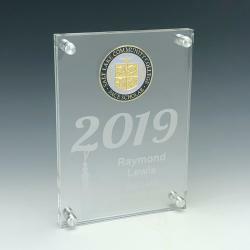 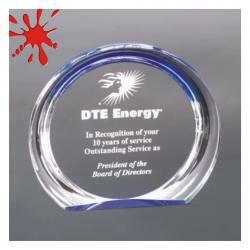 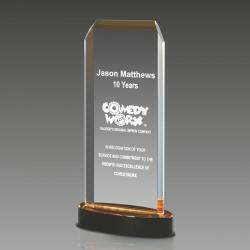 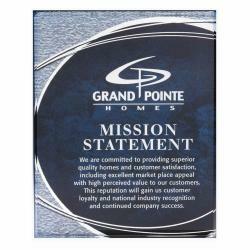 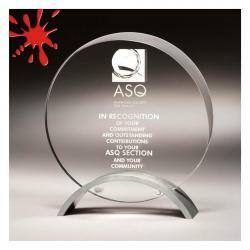 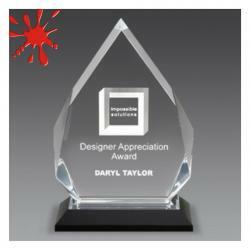 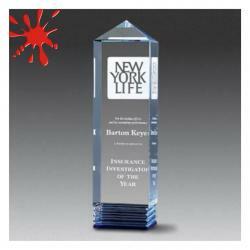 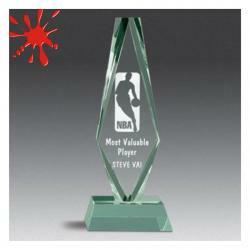 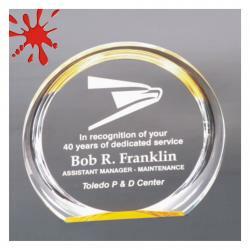 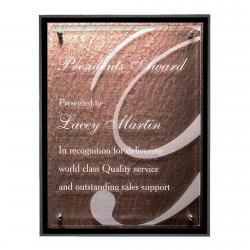 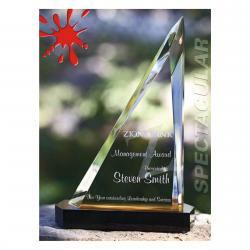 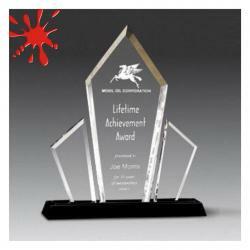 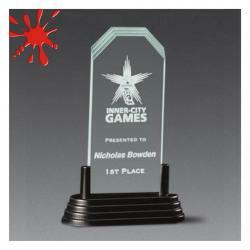 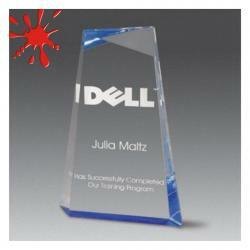 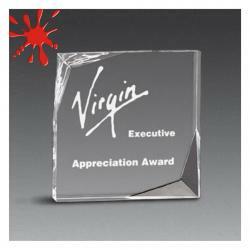 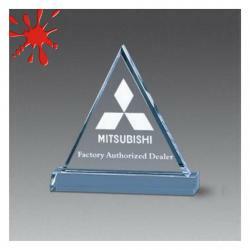 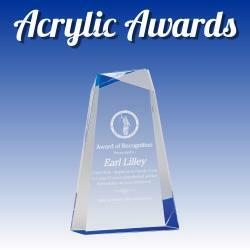 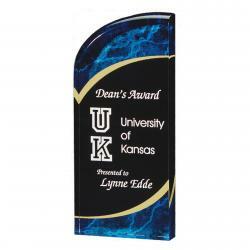 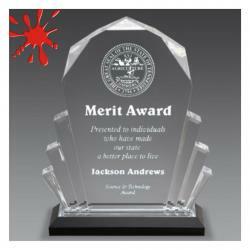 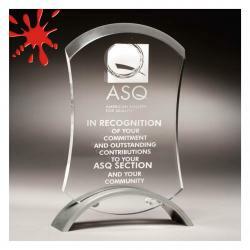 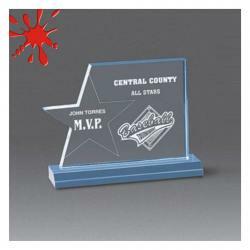 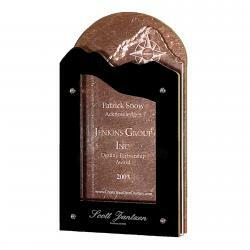 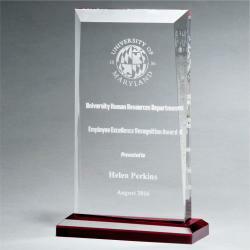 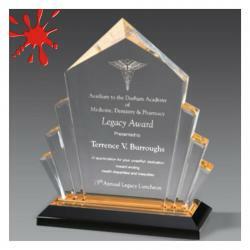 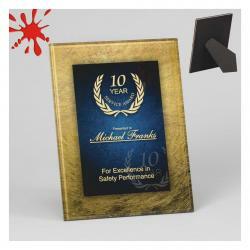 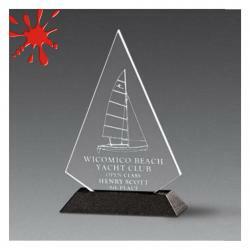 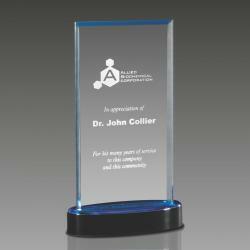 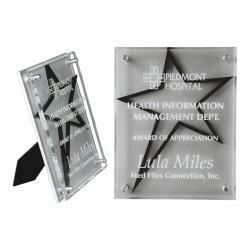 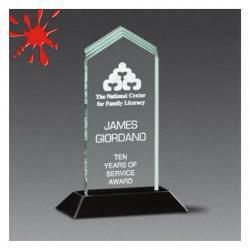 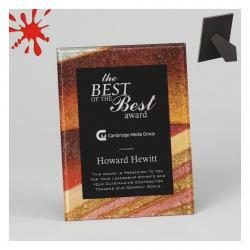 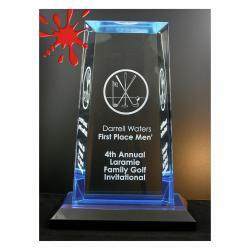 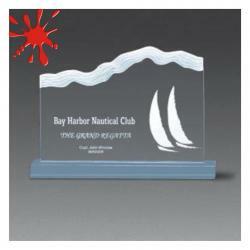 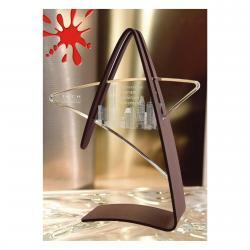 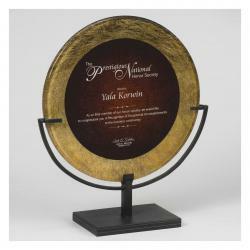 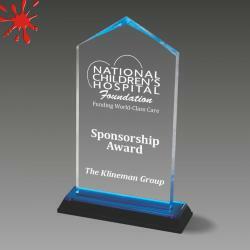 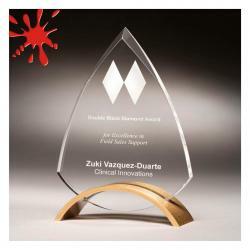 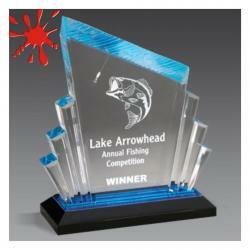 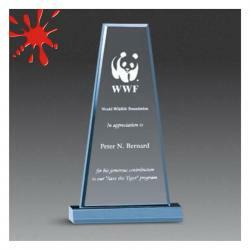 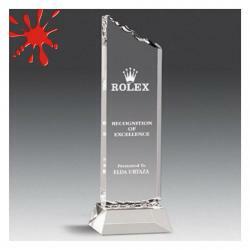 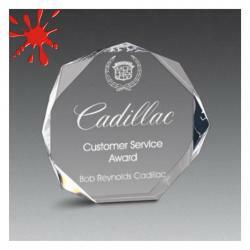 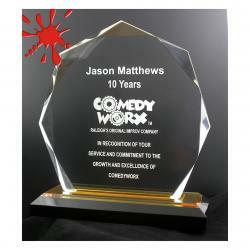 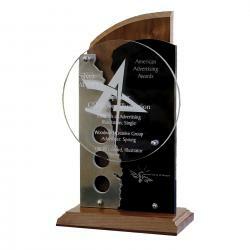 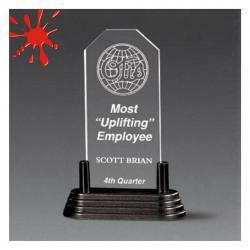 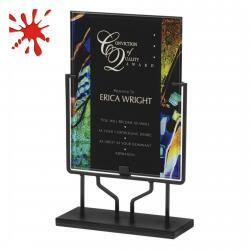 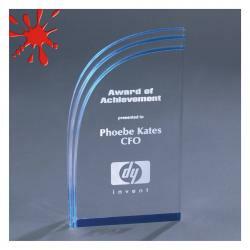 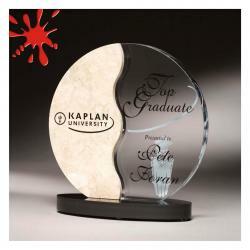 3/4" Thick engravable acrylic plaque. 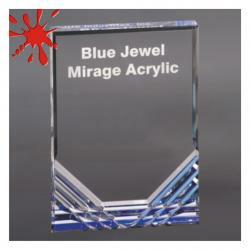 3/4" thick clear, jade, blue or gold. 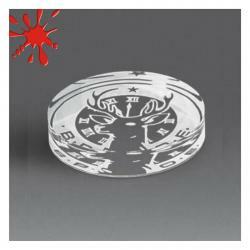 3/4" Thick clear, jade, gold or blue. 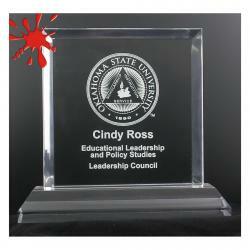 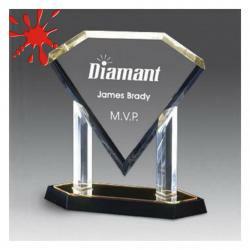 3/8" clear acrylic with faux rock base. 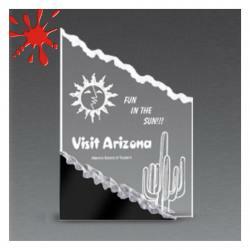 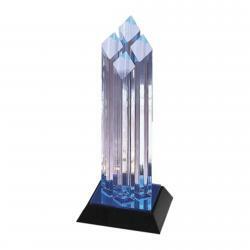 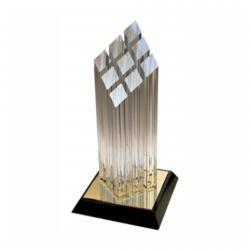 Self-standing 1" thick clear acrylic. 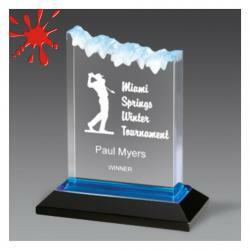 5/8" clear acrylic w/black acrylic base. 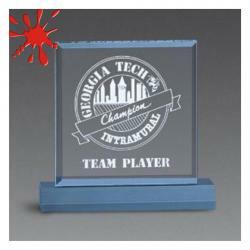 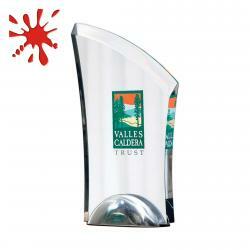 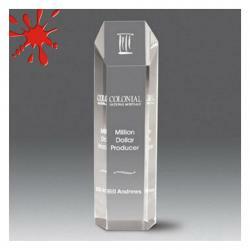 3/4" thick acrylic with bright red base.